Queen Panel Headboard: 66"W x 4"D x 58"H - 66lbs. Queen Storage Footboard: 66"W x 21"D x 19"H - 114lbs. Storage Rails: 81"W x 4"D x 13"H - 53lbs. 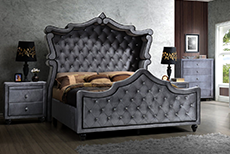 King Panel Headboard: 82"W x 4"D x 60"H - 81lbs. King Storage Footboard: 82"W x 21"D x 19"H - 139lbs. 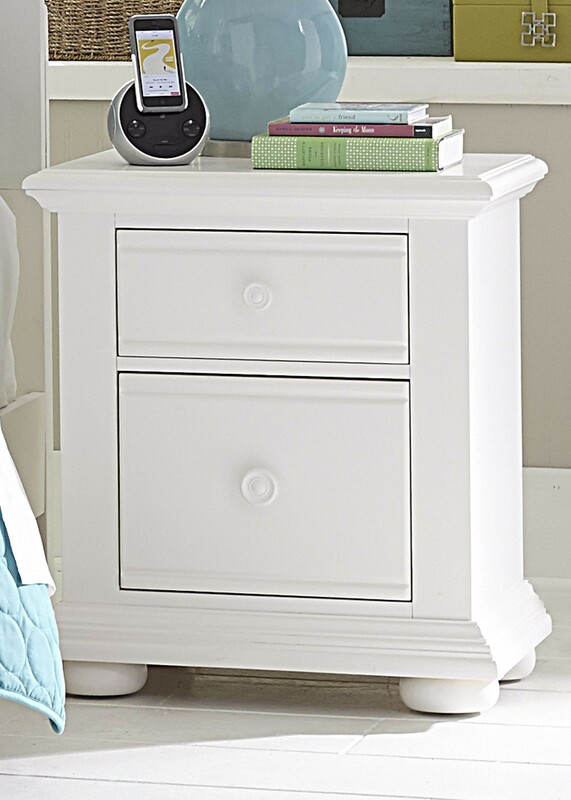 1 Drawer Night Stand: 31"W x 18"D x 30"H - 86lbs. 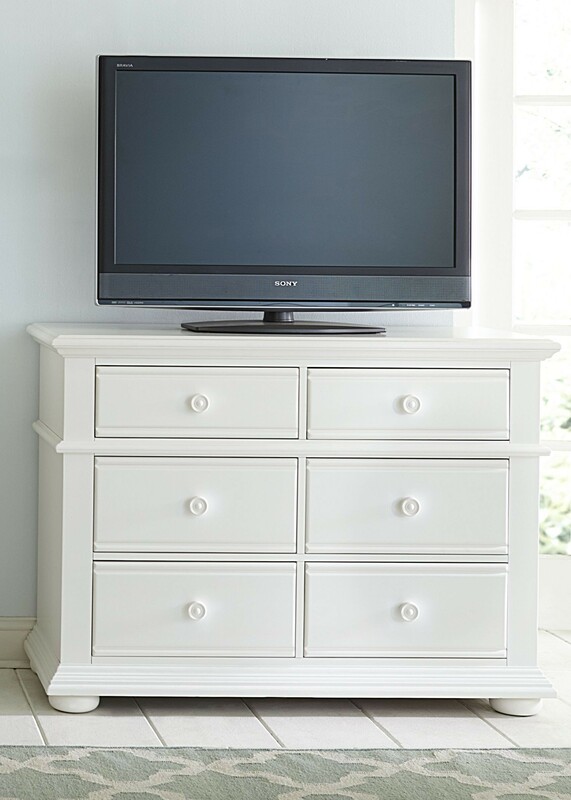 2 Drawer Night Stand: 24"W x 17"D x 27"H - 62lbs. 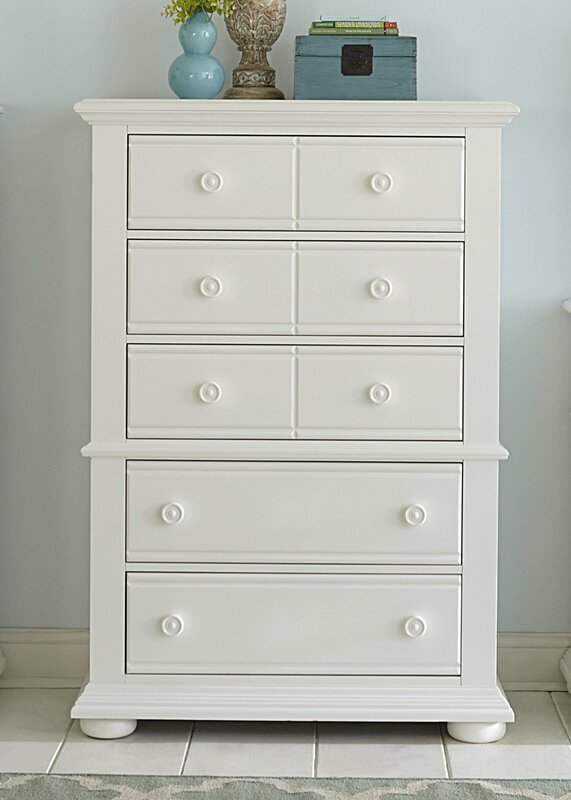 5 Drawer Dresser: 66"W x 18"D x 37"H - 196lbs. Small Mirror: 35"W x 3"D x 43"H - 40lbs. Mirror: 44"W x 3"D x 46"H - 51lbs. 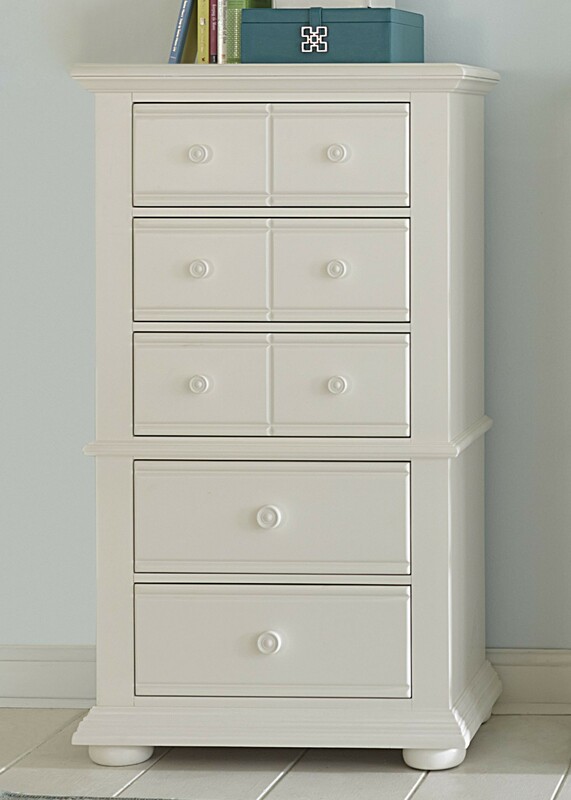 5 Drawer Chest: 38"W x 18"D x 55"H - 150lbs. Media Chest: 50"W x 18"D x 37"H - 147lbs. Lingerie Chest: 31"W x 18"D x 55"H - 134lbs. 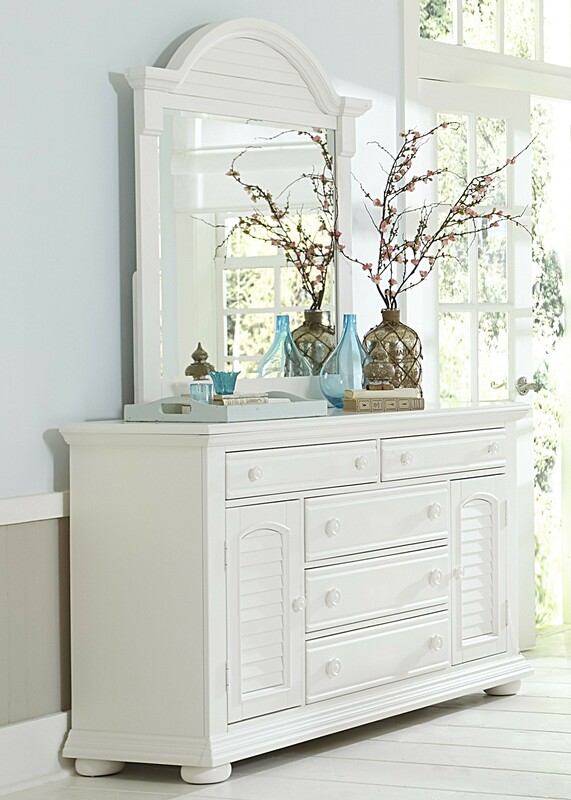 I would highly recommend the Summer House Bedroom Set by Liberty that I purchased online from 1StopBedroom. I knew I loved the look of it online but often once you actually receive an item, you are disappointed. This is the exact opposite case; I am even more impressed with the quality of the Bedroom Set now that it is in my home. I just love my new Bedroom Set from the Summer House. It is so lovely and so sturdy. I usually shy away from reviews, but honestly I found my Summer House Bedroom Set to look so extraordinary, I had to put my two cents in. This is an amazing find for an equally amazing price. The Summer House is absolutely stunning. 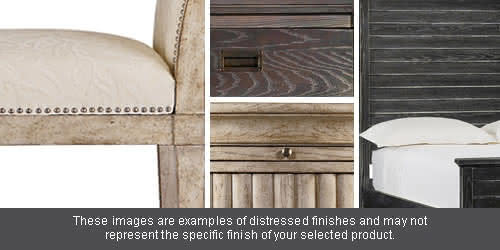 I had been trying to find a piece that would go with my existing Bedroom Set dcor and decided on purchasing a Bedroom Set from 1StopBedroom. Love it. Ordered a Liberty Summer House Bedroom Set last week and just received it today. This was the first I'd tried buying furniture online, and I was a little worried, but everything has worked out great. Delivery men unpacked it & set it up just where I wanted it and cleaned up all the packaging bits. Definitely a quality item! 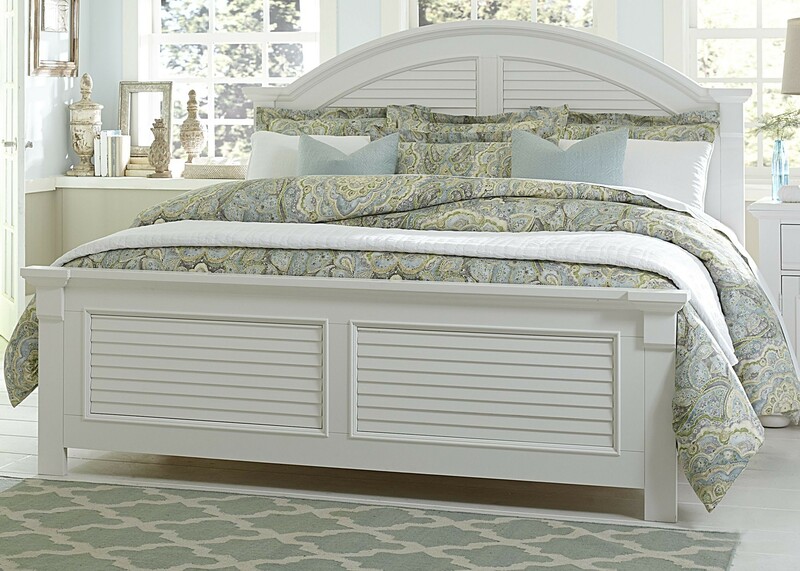 I am very pleased with the Summer House Bedroom Set by Liberty i just purchased. I was a little bit skeptical ordering a furniture online but when I received, I am glad to say that I did not make any mistake. I actually got what I have asked for. Thank you to 1StopBedroom for making it so simple to order. I needed a Bedroom Set after my husband moved out. I went to 1StopBedroom and bought the Summer House. Wow! It looks really nice and is very strong. 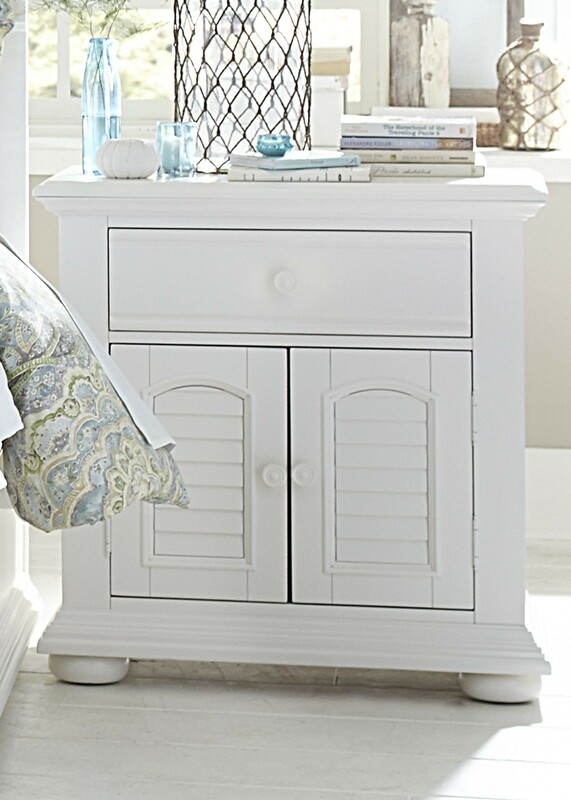 This Bedroom Set and the Summer House is all around gorgeous. Even better in person and the pictures make it look pretty.